Welcome to Cornerstone Concrete Pumping, Inc.
Do you have a difficult concrete placement job? We can help! 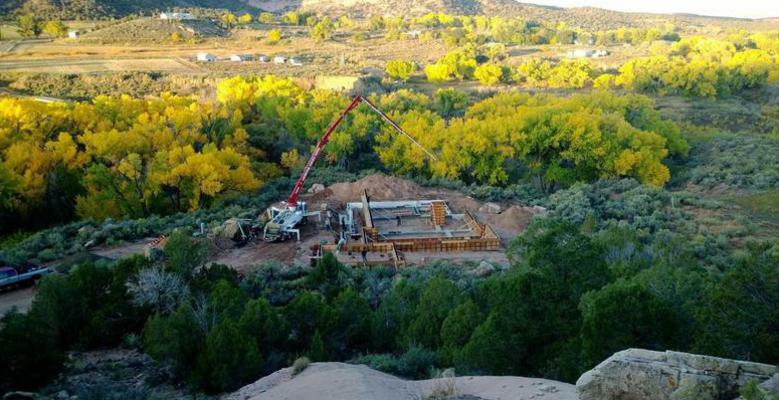 We are the premier concrete pumping service in the Four Corners area of New Mexico, Arizona, Colorado and Utah. We provide custom service 24 hours per day, 7 days per week, to accommodate your pumping needs at reasonable rates! We have two 32M Schwing Pump trucks and one 36M Putzmeister Pump truck that can reach most jobs. With our experienced operators, we can help you place your concrete safely and efficiently!